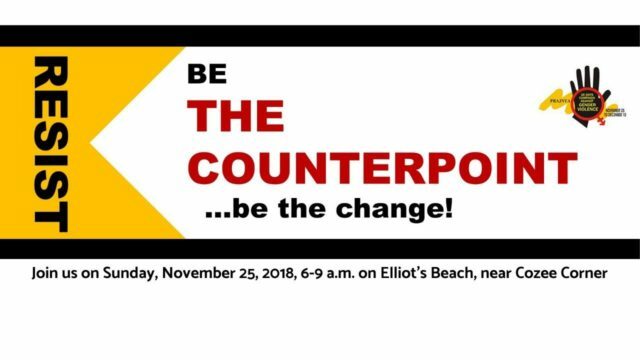 Join us at THE COUNTERPOINT on Sunday, November 25, 2018, 6-9 a.m. and mark the International Day for Elimination of all Forms of Violence against Women with The Hindu Car-Free Sunday and Prajnya. but are you loud enough to be heard? The Counterpoint on Elliot’s Beach has all this and more…come, hang out with us (near Cozee Corner)!